IT'S A WHOLE NEW WAY TO TRAIN FORGED OVER NEARLY 3 DECADES OF PRACTICE AND APPLICATION. Our underlying mission is to tip the scales of sport in your favor. Whether it’s adding four inches of height on your vertical jump or subtracting 0.4 seconds from your 40-yard dash, if there is an advantage to be had, we’re the ones to find it. Using state-of-the-art performance testing tools with synchronized video to document progress, we’ve tested, studied, and perfected our training programs so you can improve your play and gain the confidence to win. Every individualized program is based on fundamental test data that identifies your strengths and targets your weaknesses. Our proven methods safely push you past your limits – increasing the competitive skills required to be a champion. 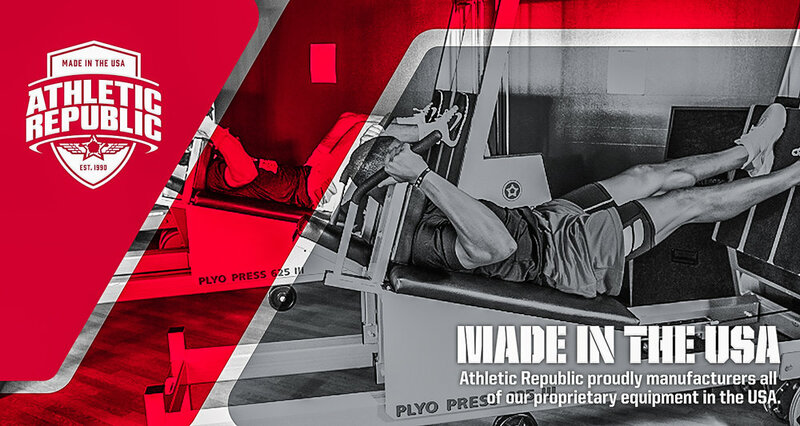 To develop a competitive advantage through performance sports training, find and then visit one of Athletic Republic’s 120+ training centers by entering your state and clicking on the training center closest to you. JOIN THE REVOLUTION. Athletic Republic is the nation's largest evidence-based performance sports training brand, and we are actively seeking qualified partners to help expand our presence in North America and abroad.